Coffee is well-known for it’s teeth staining capabilities and for good reason: it’s both darkly coloured, thanks to a substance it contains called tannins, and it’s highly acidic. It’s dark colouring can transfer to teeth through prolonged and frequent exposure, giving teeth a yellow coloured stain. The acid in coffee eats away at tooth enamel if not properly and quickly removed. Once the enamel is weakened, the layer below the enamel, known as the dentin, and it’s more yellow colouring is exposed, giving teeth a stained look. So, when you catch up with someone over coffee during the holidays, consider adding milk to your java to tone down its staining affects or switch it out for another beverage entirely. While teas are generally much less acidic than coffee, they do still contain tannins that can deposit on your teeth and discolour them. Be aware that different teas have different colouring effects on teeth when consumed in large amounts. Green teas will leave a more gray coloured stain while black teas leave a yellow stain, similar to coffee. If you want to keep enjoying your tea this season, go for higher quality teas as they will deposit less colour on your teeth than cheaper options. If you are making an effort to boost your energy levels this holiday, consuming sports or energy drinks won’t do any favours for your smile. Full of acids, both are destructive to the protective enamel coating of teeth and can corrode it away while creating a breeding ground for bacteria with their sugar content. Energy drinks are especially acidic, making them even more of a danger to enamel. Try foregoing sports and energy drinks altogether and favour restful sleep and proper hydration instead to boost your energy. Like coffee and tea, red wine also contains stain-causing tannins which can leave teeth with a lacklustre gray colouring. All types of red wine will have this outcome and the effect will get worse if it’s frequently consumed. Keep a toothbrush handy and, if you do decide to indulge in a glass of red wine, brush your teeth soon after to eliminate the chances of the colouration depositing onto your teeth. Contrary to popular belief, white wine is not a great alternative to red wine if you are looking for an option that doesn’t yellow teeth. White wine, while light in colour, is more acidic than red wine and is harmful to tooth enamel in much the same way that coffee is. When left in contact with teeth, this acid breaks down the protective outer layer of the tooth and exposes its yellowish inner layer, which can look like staining. If you do want to enjoy white wine this season, follow it with water to keep acids from sticking to teeth. Just because you’re being offered food at party doesn’t mean you have to eat it. The normal laws of weight gain and weight loss do not change during the holiday season; you’ve worked hard all year to fit into that gorgeous dress, why spoil it now? If you want to avoid this, never go to a party with an empty-stomach – have a healthy snack like a fruit or some high-fibre biscuits before you leave. This will keep hunger pangs at bay and your gorging desires in check. It’s hard to find a Christmas or New Year party where booze isn’t being served. 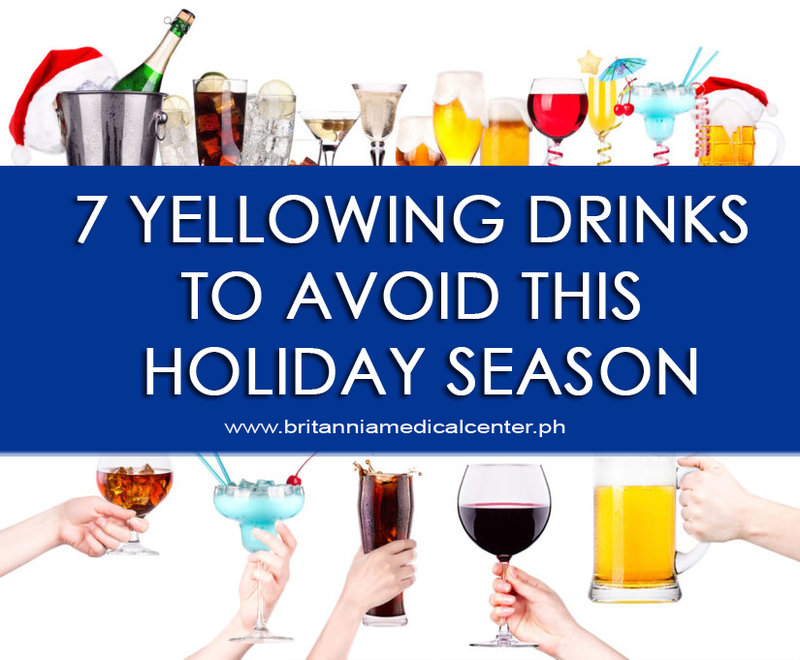 While it’s the holiday season and we don’t want to sound like a grumpy grandma the fact is that too much alcohol, in fact even a little of it is bad for your body. Not only does alcohol have very high calorie content, it also lowers your inhibition which means that you won’t be watching what you eat and piling on more pounds. Also it takes your body a long time to process alcohol and keeps your liver working overtime. Think before you drink, you’re the one who will have to live with the hangover, damaged liver and beer belly tomorrow. One mistake a lot of people make is that they stop exercising completely during the holiday season. While gyms can be closed for a while you can try various other alternatives like walking, running, jogging, cycling or you could concentrate on a particular body part like abs for the holiday season. A little vigilance, moderation and common sense will go a long way in ensuring that you don’t put on any weight this holiday season. 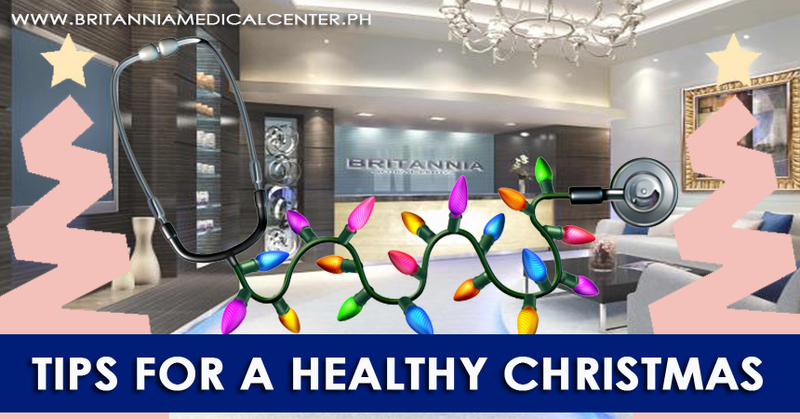 We from Britannia Medical Center - The Enclave wish you a very Healthy and Merry Christmas and a Happy New Year. Did you know one in four people have a fear of the dentist? Often, our fears are much scarier than the reality. We want to fix your pain, not cause it, which is why we invest in the best technology for a more pleasant patient experience. You can rest assured that you’ll feel much better after you leave than before you came in. Unlike the gung-ho dentists of the past, we specialise in minimally invasive dentistry to ensure we don’t do more work than is necessary so you shouldn’t suffer from persistent problems. We’re a friendly and always want to meet new faces. Ask our receptionist if you can make a special 5-minute appointment to see the surgery. Letting us know you have dental anxieties means we can make your visit as comfortable as possible and even talk through anaesthesia options with you. Unless you’re in a lot of pain and need emergency treatment, your first visit will simply be a check-up of your teeth, gums and jaws. If you do need a little work, we’ll discuss it with you, answer all your questions and invite you back another day. If you want to acclimatise to the sights and sounds of the surgery, why not book a clean with one of our friendly hygienists first? Whether breathing techniques, meditation or listening to soothing music help you relax, taking a few minutes to do this before your appointment can help balance your mind and settle your nerves. Book an early morning appointment so you have less time to get worked up during the day. 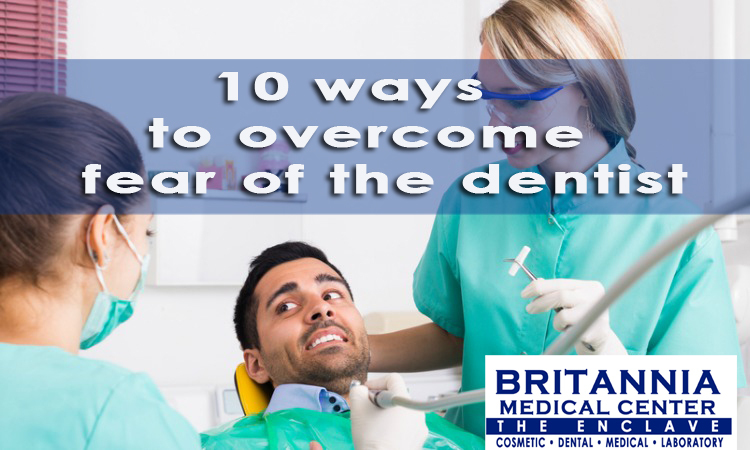 If you’re concerned about pain, devise a signal with your dentist so they know when to stop. Then they can give you a break if you need one and address any worries. Does your fear make you feel alone or trapped? Bringing a friend or family member can give you the emotional support you need. When your fear of the dentist interferes with your life or stems from a generalised anxiety or medical disorder, speak to your GP. They can signpost you to counselling or other support services to help you tackle those stresses. Malaria of course tops the list of Common Rainy Season diseases . The Female anopheles mosquito causes malaria; they usually breed in waterlogged areas. Thus, clean your water tank frequently to avoid the risk of malaria. The common symptoms of malaria are fever, shivers, muscle pain and weakness. This is a very very common Rainy Season disease that comes with the season and also due to temperature fluctuation. Avoid getting drenched in the rain , ensure you look for a shelter to avoid getting soaked in. It doesn’t just protect your clothes but also prevents you from getting sick and getting any infection. This is a higher level of respiratory disease that occur more during the rainy season . It can even result in more serious health conditions such as pneumonia and cause such serious complications as myocarditis, encephalitis, and patient can get hospitalized. One of the most threatening features of influenza is that it can develop into pneumonia and cause such serious complications. The high-risk groups are children, pregnant women, the elderly, and people with underlying health conditions. Cholera is another common Rainy Season disease which is an acute intestinal infection caused by ingestion of food or water contaminated with the bacterium Vibrio cholerae. People who eat food or drink water contaminated by this bacteria have a high chance of getting infected. One can prevent the occurrence of cholera by drinking clean water and maintain a proper hygiene. This is another common Rainy Season disease, which is caused due to unhygienic consumption or handling of foods and water. There are two main types of diarrhea – acute diarrhoea and chronic diarrhoea. Both of these are highly preventable and treatable. In order to prevent this bowel problem, maintain proper hygiene, wash hands before handling food and drink only boiled water. The disease is most prevalent during the rainy season common in tropical and sub-tropical countries in the world. It is primarily transmitted by the bite of the Aedes mosquito , according to WHO. Dengue fever is potentially fatal and mainly affects children. Typhoid is a water-borne disease, which is on high-rise during Rainy season . It is a bacterial infection which is transmitted through consuming contaminated water or food. Poor sanitation also causes this disease to spread. The common symptoms of typhoid are fever, headache, weakness, pain and sore throat. In order To prevent the occurrence of this problem wash your hands regularly, avoid consuming street-side food or water and drink plenty of healthy fluid. Leptospirosis, also known as Weil’s syndrome, is a bacterial infection transmitted when urine and feces of infected animals such as rodents, contaminate the soil, water, and vegetation. 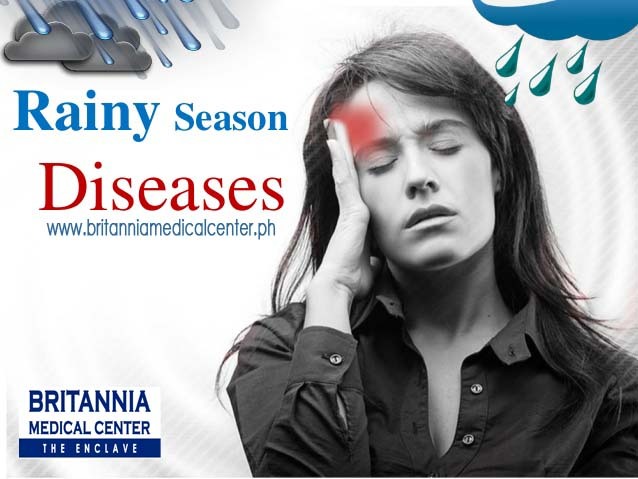 So listed above are the common disease that occur most during the rainy season . Dont forget your health is wealth , Keep yourself health during this season and avoid any common Rainy Season diseases. Pneumonia is a type of lung infection that can be caused by bacteria or viruses. Babies most often experience symptoms of pneumonia caused by a viral infection. Here are the symptoms of pneumonia in infants requiring immediate medical attention from our doctor. Fever can occur in infants with pneumonia. Symptoms of fever may be accompanied by sweating, chills or headaches. Generally, the symptoms of a fever in infants with pneumonia exceeds degrees Celsius. Infants who experience symptoms of fever should be examined by a doctor because these symptoms could be a sign of a serious medical problem. Breathing difficulties can occur in infants who has pneumonia. A baby with a lung infection starts sneezing or breathing rapidly. Parents should begin to pay attention to the muscles of the baby’s ribs when they breathe. Infants who develop difficulty breathing due to pneumonia requiring immediate medical attention from a doctor. Pneumonia can cause symptoms of abdominal pain, such as nausea or vomiting. If this happens, the baby usually do not want to eat or have a decreased appetite. Infants with pneumonia may also develop symptoms of diarrhea due to infection. Infants who experience vomiting or persistent diarrhea should be immediately taken to a doctor because these symptoms could increase the baby’s risk of dehydration. Infants with pneumonia becomes easy to be cranky as a result of the infection. 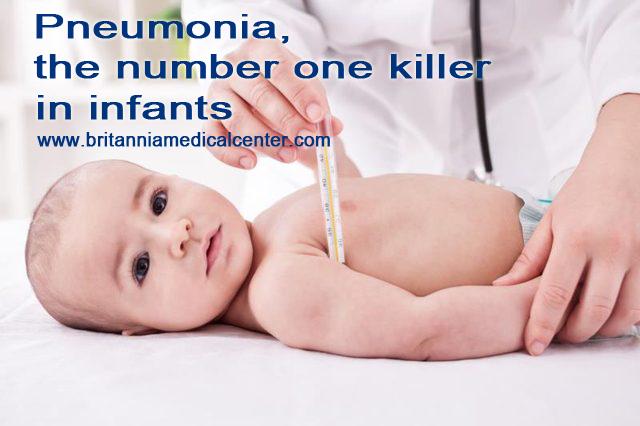 Pneumonia makes them feel uncomfortable, causing the baby cries a lot or have trouble sleeping. If you find the above symptoms in your baby, consult a physician. Rapid medical intervention can facilitate the healing process of your baby. 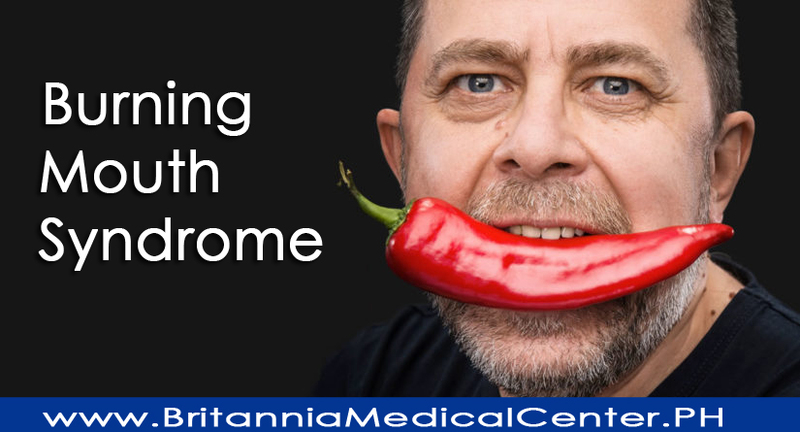 Burning Mouth Syndrome (BMS), as the name suggests, is a condition that can cause the tongue, gums, cheeks, lips, or throat to feel as if they are burning. There is no single cause for this condition and, unfortunately, dental and health professionals do not currently have a way to test for it. Because of the fact that it differs in every person it affects, and that it can either flare up due to another condition or seemingly happen on its own, this condition is sometimes difficult to identify or treat. This condition has a spectrum of irritation from complete numbness, to a slight tickle, to a feeling of being scalded. It affects people differently and thus can be difficult to diagnose. Changes in taste may also occur with Burning Mouth Syndrome, such as an intense metallic taste in the mouth or loss of taste completely. Sufferers of BMS may also experience a dry feeling in their mouth, tongue, or throat, coupled with a heightened sense of thirst. Because the condition varies so much, it can affect someone for just a few days and another for months or even years. Depending on whether or not the flare up of the condition is due to a pre-existing condition such as mouth ulcers, or if it’s occurring on its own, also plays a role in its severity, duration, and treatment. What pre-existing conditions can trigger Burning Mouth Syndrome? And even stress and anxiety can all trigger a flare up of Burning Mouth Syndrome. Does the condition require medical attention? While some cases of Burning Mouth Syndrome disappear on their own, most have been documented to last for a significant amount of time and all instances should be monitored by a dental and health professional. If you feel tingling, pain or any other potential symptoms associated with BMS, you should alert your healthcare professional and dental practitioner right away. Without being able to cite the cause of Burning Mouth Syndrome flare ups, it is impossible to have one cure-all treatment for the condition. Deciding on a treatment course with your medical professional involves determining whether the Burning Mouth Syndrome is happening on its own or as a consequence of another condition. Once this has been determined, possible treatment options include saliva replacement to combat dry mouth, oral rinses to treat fungal infections, therapy or counselling for stress related triggers, and certain nerve blocking medications. Can Burning Mouth Syndrome be prevented? This specific condition requires the involvement and monitoring of a health professional for successful treatment. However, there are a few things you can do to help prevent the condition or lessen the pain caused by it. For example, avoiding food and drink that contain cinnamon, mint, alcohol, high levels of acidity or heavy spices can help keep irritation at bay. Switching to mild tasting toothpastes such as ones designed for sensitive teeth, and taking steps towards managing stress, anxiety, and depression can also help.